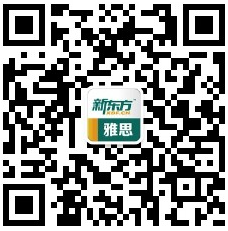 如果雅思口语里说到an occasion when we are not allowed to use cellphone，很多孩子会直接想到学校领导讲话或者各种被抓去参加的无聊lecture。有些学校不光要求手机静音，连掏出来看一眼都不行!凡是需要靠“不让用手机”这种规定才能让我们pay attention的讲座，就跟上课点名的老师一样，都是无耻的! This topic reminds me of the time I went to a lecture given by our dean at the beginning of university. Before the lecture, our monitor told us that cell phones were not allowed in the lecture hall, not even on silent mode. It was just the start of university, I mean, all of us were pretty obedient, so none of us took our cell phone there. However, later I realized, I made a horrible mistake. The lecture was so tedious. All he talked about were just clichés, and he just read out the script in a monotonous voice, which made all of us drowsy. I’m not exaggerating here, I was practically nodding off throughout the whole speech. I should have brought my phone with me so that at least I could have something to do. I was bored out of my mind. To keep myself awake, I started to count the lights in the ceiling. And I still remember clearly, there are 10 rows of lights, and 7 in each row. After I’d done all those things, he was still going on and on about those meaningless stuff. I started to count the number of chairs in the lecture hall. So you can imagine how bored I was. I hope I don’t have to go to such mind-numbing lectures ever again in my life. And another lesson --- always have your cell phone with you no matter where you go. He was always obedient to his father's wishes. It has become a cliché to say that Prague is the most beautiful city in Europe. The hotel was really filthy and I'm not exaggerating. I'm sure he exaggerates his Irish accent (= tries to sound more Irish than he really is). Demand for the product has been greatly exaggerated. I was practically nodding off in that meeting.